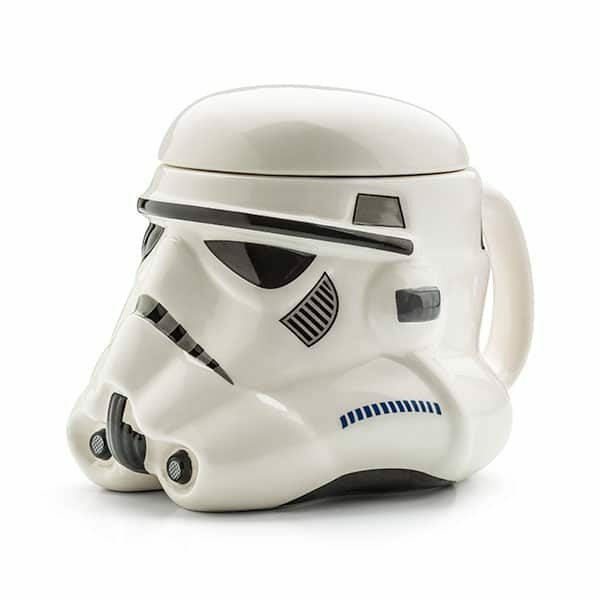 It’s a rough life being a star wars Stormtrooper mug. You’re constantly being ordered around by your superiors. 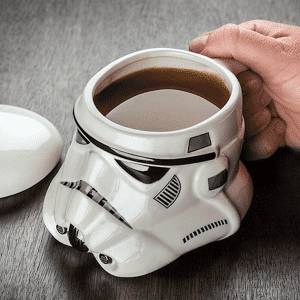 You’re at risk of being Force-choked by Darth Vader at any moment. Despite all the blaster training, you can’t hit the broad side of a Hutt at point-blank range. But the worst part? You’re *always* surrounded by other Stormtroopers. A little privacy would be nice. On a rare day off, we imagine a Stormtrooper would enjoy some precious alone time. A day without armor? Heck, yes. Brew a large pot of coffee, put the feet up (sans boots), and enjoy some Netflix. And so that he (or she) doesn’t have to keep jumping up to go fetch more coffee, this Star Wars Stormtrooper Mug. You see, it holds 24 glorious ounces of your beverage of choice, so there’s less moving around and more sitting on the day of rest. Sorry, FitBit, but those Death Star passageways are enough steps for the entire month.